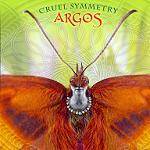 More information: Cruel Symmetry is dominated by the 21-minute-plus title track which takes the listener on a journey to the different scenarios of perception (and deceit). These stages are presented in imaginative and constantly changing musical styles and textures: hymn-like, tuneful elements are intermingled with and replaced by psychedelic excursions. Rhythmically complex passages are followed by delicate, acoustic parts. With this longtrack Argos convey the spirit of the seventies to our age and time. Because of their typically unconventional they distinguish themselves from other retro bands. In the following six songs the band shows that they have an intuition for catchy melodies and jazzy, idiosyncratic harmonies. The classic instrumentation of traditional progressive rock (mellotron, harpsichord, flute, hammond and Moog) is combined with modern techniques like using drum loops and a contemporary guitar style.